Damnit! These are just itching to be bought! I love the remaking "mistake" trading card lol. Pardon the screenshot. 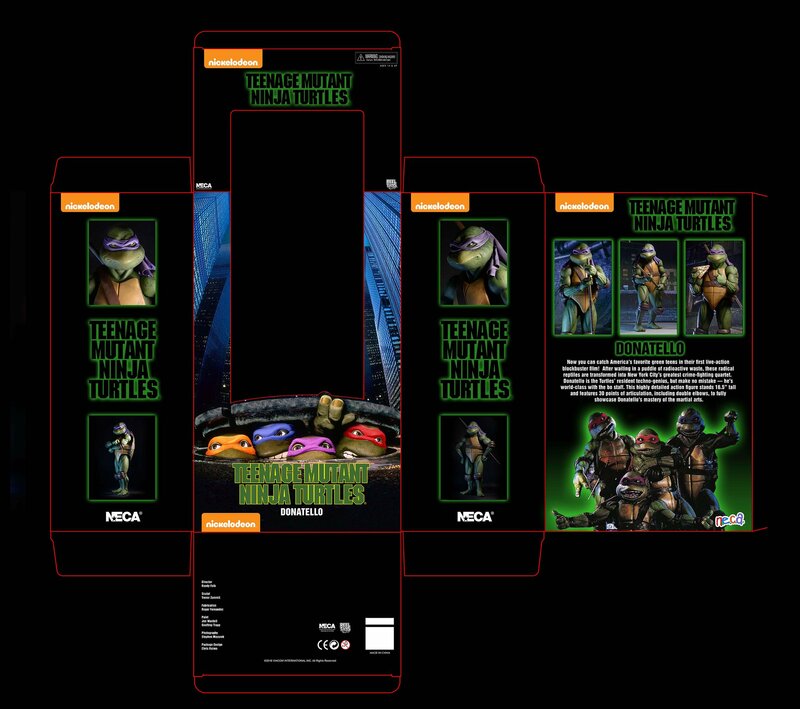 NECA is showing Raph and Donnie at NYCC. Looks like they changed Raph's head.. Maybe the angle but I'm not sure. Hmm, does that mean Raph is the next turtle for pre-order? He is but the question is when? Does Raphael's card say Q4 2017 ? Looks like a 2 or 3 to me. Damn fuzzy photos. Thought I had to put my glasses on but they were already there. Thanks Powder. Q1, 2017. Donnie is coming Q4 2016, and these are to be released quarterly. Q4,Q1,Q2 and Q3. Thanks for the Q-tip Karai. Randy said he will go up for pre-order once Donnie ships so with in the next month in a half or so. Last edited by Lil Karai; 10-08-2016 at 09:41 AM. I hope that's what the package interior looks like. I've never been bothered by the inclusion of Nick's logo until now. They had nothing to do with this iteration of the TMNT. Get used to it. They own everything now. So you have to go through them. Just be glad they're greedy and licensing like crazy.